Just north of Los Angeles is an area Los Angelenos refer as the Valley because it's located between the Santa Monica Mountains and the Angeles National Mountains. The valley, specifically Sherman Oaks and Van Nuys is primarily suburban, so there's tons of parties that go on every weekend. BestMechanicalBullRental.com is bringing the best type of party to Sherman Oaks and Van Nuys, a Mechanical Bull Party. Bull riding is extremely stimulative for all ages, so it's suitable for a kid's birthday party and even your gramp's 70 year old party. No longer do you have to travel all the way to Orange County or Santa Clarita for ultimate stimulation, you can experience maximum fun at any local park or even in your background with our Mechanical Bull Rental. We're fans of active recreational activities and whatever is fun through physical movement, it's exactly why we're in the business of providing mechanical bulls. 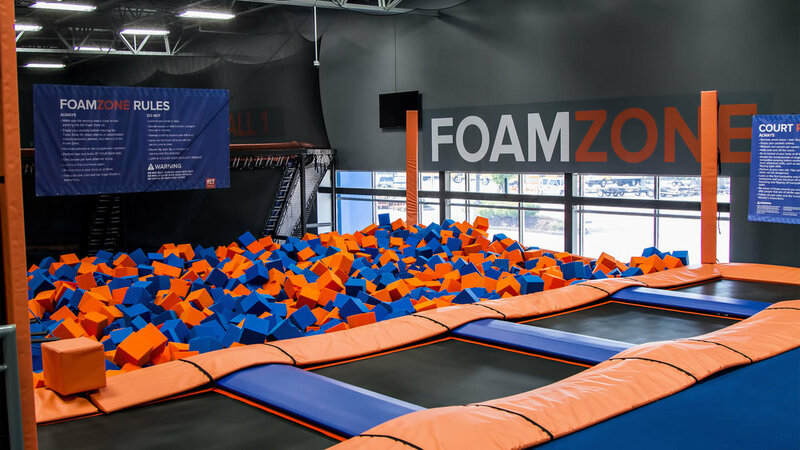 And if you're like us, you'll love SkyZone, a trampoline park, which is conveniently located near Lake Balboa; you can even walk there after your mechanical bull riding party. At SkyZone, you can jump higher than you've ever, play dodgeball while simultaneously jumping 10 feet above the ground, and perform acrobatic movements like front flips, backflips, double backflips, triple front flips into a pool of soft foam; much less intimidating to perform these moves here than a swimming pool because belly flops don't sting at SkyZone. So go there and attempt that acrobatic move you told yourself you'll try one of these days but haven't because of the physical risk involved, there's NO RISK from trying that move at their foam zone, and you'll probably love yourself for trying and falling into their pool because their pool of foam spongues feels so darn soft. If you have a a huge backyard, then you should definitely utilize it for your Mechanical Bull Party. But if you prefer a place other than your home for a social function, we highly suggest Lake Balboa for your Mechanical Bull Rental because riding a bull in front of a lake beats riding a bull in front of grass. And, Lake Balboa is a heck of a park to visit anyway because of it's vast space, beautiful landscape, and ample activities that it offers. We've included an aerial footage of Lake Balboa to provide a glimpse of the greatness of this park. And once you feel hungry from riding a Mechanical Bull, head over to Ventura Blvd in Sherman Oaks to choose a meal from tons of top-notch restaurants. You'll have more than enough options to find a place that matches your taste buds or even a novel food gobble experience. Whether you happen to drop by Sherman Oaks and Van Nuys or reside here, contact us for a Mechanical Bull Rental to make your day, your family's day, and your friend's day 10x more exciting. We're sure to make your day talked about for weeks ahead.